It is every important that proper standards are set to assess the skill & potential before the selection of the sportspersons and their further training. Skill is the ability to coordinate different muscles of the body in order to perform a combination of specific movements effectively. In other words, the automatic application of technique without conscious thought is skill. In Kabaddi, which is played without any equipment, the sportsman is required to master a number of skills with their variations to make a successful team member. 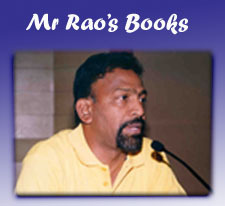 Skill is derived from the term technique which in turn is defined as the motor procedure for tackling a given task. 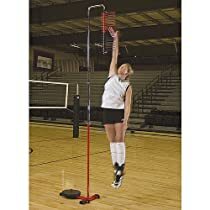 Wall Mounted - The original and most simple method for measuring vertical jump height is against a wall. Although you can use just any wall and a piece of chalk in the hand, there are also other wall mounted grid options. Handgrip Dynamometers are instruments for measuring the maximum isometric strength of the hand and forearm muscles, used for testing handgrip strength of athletes involved in strength training, or participants in sports in which the hands are used for catching, throwing or lifting such as Kabaddi, Wrestling, gymnasts, tennis players and rock climbers, and for tracking improvements with strength training and during rehabilitation. There are many methods for measuring handgrip strength, and a wide range of equipment that is commercially available. The first handgrip dynamometer, the Régnier dynamometer, was invented and built by Edme Régnier (Régnier, 1807). Since then there have been many different dynamometer designs that have been used. There are numerous fitness tests for measuring the function of the abdominal muscles (or 'abs' as they are called in the fitness industry). This is a very important area for testing, as abdominal strength or abdominal muscle endurance is an indicator of core strength and therefore core stability and support of the lower back. These Tests fall into two main categories, abdominal strength and abdominal endurance (See the below list). In the abdominal strength tests, asssessed is the ability of the abdominal muscle to function. Sit Up endurance tests are usually conducted over a one minute period, and measure the maximum number of correctly performed situps in that time. The home test is one example of this. The Army, Navy and Marines use a two minute test, and allow rest breaks. An alternative to the one or two minute test is a sit-up test that is continued until exhaustion at a given pace given by a metronome or audio recording. Sit Up strength tests do not require repeated sit-ups to be performed. The 7-Stage and the simpler variation the 4-Level test require the subject to perform sit ups of increasing difficulty. Similarly, the Straight Leg Lift monitors the ability of the abdominal muscles to function as the difficulty of the movement increases. 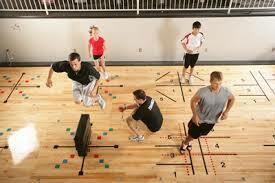 The Standing long jump, also called the Broad Jump, is a common and easy to administered test of explosive leg power. The standing long jump was also once an event at the olympic games. variations / modifications: A long jump landing pit may be used instead of a hard surface, which enables the subject to confidently put more effort into the jump, and to extend the legs further in front of the body for landing. This technique also allows those with greater skill to score longer jumps, which is undesirable if you are trying to test for leg power only. Generally longer distances should be achieved with this technique, so the norm table above would not be accurate. Medicine Ball or the similar Power Balls are commonly used in fitness training and for testing of upper body strength and explosive power. Research has shown a good correlation between these tests and other measures of explosive power in athletes. 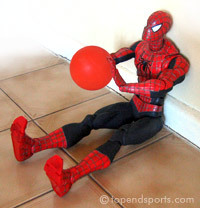 When testing using medicine balls, it is necessary to allow familiarization trials with the technique required, including optimizing the angle of release and maximizing power output. This may require up to 5 or 6 practice trials to obtain a stable score. aim: This test measures upper body strength and explosive power. equipment required: 2-5 kg Medicine Balls depending on the age group being tested, measuring tape and marking powder. procedure: The subject stands at a line with the feet side by side and slightly apart, and facing the direction to which the ball is to be thrown. The ball is held with the hands on the side and slightly behind the center. The throwing action is similar to that used for a soccer/football sideline throw-in. The ball is brought back behind the head, then thrown vigorously forward as far as possible. The subject is permitted to step forward over the line after the ball is released, and is in fact encouraged to do so in maximizing the distance of the throw. Three attempts are allowed. scoring: The distance from the starting position to where the ball lands is recorded. The measurement is recorded to the nearest 0.5 foot or 10 cm. The best result of three throws is used. A "chin up" is bringing the chin up to touch the bar or go over the bar, with a supinated palms-facing grip. Pull ups are one of the best ways to measure the upper body strength of the "pulling muscles". They are used by the United States Marine Corps as a way to determine strength among service members. Untimed, 20 pull ups in a row is a perfect score in a physical condition test for the US military, while at least 3 must be done to earn any points. A push-up (or press-up) is a common calisthenicsexercise performed in aprone position by raising and lowering the body using the arms. 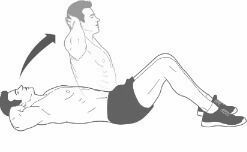 Push-ups exercise the pectoralmuscles, triceps, and anterior deltoids, with ancillary benefits to the rest of the deltoids, serratus anterior, coracobrachialisand the midsection as a whole. Push-ups are a basic exercise used in civilian athletic training orphysical education and commonly in military physical training. They are also a common form of punishment used in the military, school sport, or in some martial arts disciplines. In the "full push-up", the back and legs are straight and off the floor. There are several variations besides the common push-up. These include bringing the thumbs and index fingers of both hands together (a "diamond pushup") as well as having the elbows pointed towards the knees. These variations are intended to put greater emphasis on the triceps or shoulders, rather than the chest muscles. When both hands are unbalanced or on uneven surfaces, this exercise works the body core. Raising the feet or hands onto elevated surfaces during the exercise emphasizes the upper (minor) or lower (major) pectorals, respectively. Raising the hands with the aid of push-up bars or a dumbbell allows for greater ROM (range of motion), providing further stress for the muscles. In most push-up variations, a person will be lifting about 65% of his or her body weight. 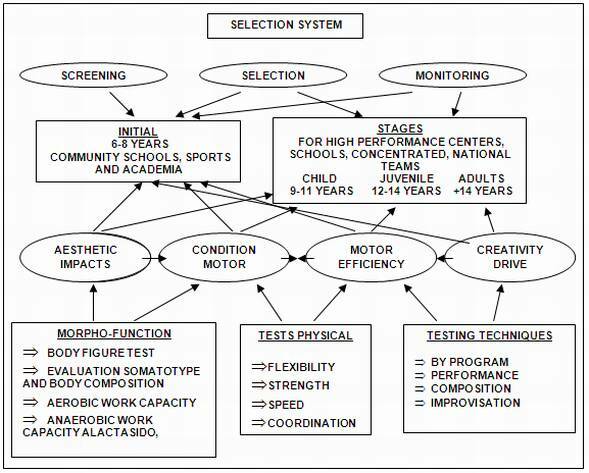 Any sport should have standard motor ability and specific skill tests to assess the fitness level of the sports persons and their aptitude for the particular sport. Talent identification is the fundamental & integral part of the selection of the sportsperson before embarking on sustained & scientific training to bring him to peak performance. Talent identification with universally accepted standards originated in East Europe in the late sixties. It is now an established fact that talent identification is of utmost importance for superior performance in any sport. Scientific approach in talent identification in Kabaddi is a fairly new concept. The prerequisites for talent identification tests in Kabaddi as in any other sport are objectivity, reliability, validity and arriving at specific norms. Before administering the talent identification tests for valid and reliable results, attention to details is very important, such as the selection of the tests, adequate testing personnel, availability of equipment & materials, preparation of scorecards with date of testing, quick and accurate scoring, prior training of the testing personnel, demonstration, warming up, motivation, and last but not the least adequate safety measures. Several talent identification tests have been devised for assessing the potential of sportspersons in Kabaddi such as Footwork test - to measure agility, speed, coordination & basic footwork, Reaction ability test – to measure reaction ability & skill, Raiding skill test – to assess the raiding ability, Hand touch reach test – to measure the reaching ability and stretching capacity, Foot touch reach test – to measure flexibility and reach of the legs, Raiding [offensive] skill test with cant- to measure raiding ability & cant etc,…………………. Analysis of the performance of the individual player and the team as a whole during practise sessions as well as during the competition is an integral part of the training of the team. Any team however well trained is bound to commit a few mistakes which may have telling effects on the teams’ performance. The team that commits fewer mistakes generally ends up winning the competition. Careful analysis of the teams’ performance will equip the coach with the required feedback to correct the mistakes and ensure that the same mistakes are not committed in the next competition. Analysis of the performance of the opponent team is also essential since this will help the coach and players prepare various strategies to win. The coach focuses on the weak points of the opponent team and designs tactics to suit every conceivable situation. Video analysis, once considered a tool only for the biomechanist or high-performance coach, is now becoming a technology used by many coaches working with athletes of all ages and standards. There has been an enormous growth in video-analysis software, which has allowed the coach to improve their qualitative technical and performance analyses to their athletes. However, for many coaches, particularly the majority who may not be IT savvy, video analysis may appear threatening rather than friendly. Moreover, the technology may be more detailed than one might think to get started. Video has many applications in sports and science. Coaches and athletes are using the medium more and more to measure and correct technique, and to analyze team and individual performances. 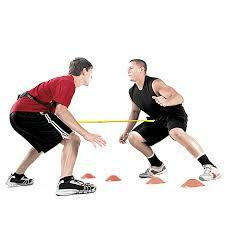 Video analysis software can also be used for gait analysis and biomechanics research, and in injury rehabilitation. With the correct software, video of match play can become much more useful than simply re-watching the game. First it requires a technician to mark the video (in real time or after the game) with your chosen key points such as Touches, Catches, Struggles, Bonus points, Super catches or raids, errors, and specific plays, and also mark the involvement of each player. The coach or player then has ability to filter and see their chosen aspect of the game by a specific player, or errors by the opposing team. Game highlights can be quickly generated, and you have instant access to many aspects of performance. Body position during technique performance. Joint and segment angles and velocities. Digital video cameras are essential in video analysis, and with the technology being so prevalent, digital video cameras are now relatively inexpensive. Your camera must be able to interface with the computer, so make sure you also have a video capture card and fire wire cable to feed into the computer. Consider whether you will set up the camera in a fixed position (on a tripod) or operate it by hand. In most cases having a fixed camera position is preferable, as it allows for an aspect of the technique to be fully observed and analysed (such as the foot plant during running cycle). Further, it allows you to coach at the same time as you are analysing (for example, coaching and analysing a tennis backhand stroke). A good software package should have a functional remote controller that allows freedom of movement and coaching while the video records (you can place the tripod where normally you would be standing). Of course, not all sports analyses can be effectively conducted with a fixed camera; sometimes the coach needs to see the whole skill performed, not just one part of it. The positioning of the camera is also important. Most analyses are conducted from the side, but similar to coaching, observation must come from different angles, so make sure you position the camera at various angles to capture all movements (even on non-dominant sides for asymmetrical sports such as the racket sports). For coaches who are fortunate enough to obtain two cameras, some software programs are able to take dual-incoming feeds that provide simultaneous observation from different angles. The coach should also be aware of environmental influences. Consider the direction of sunlight, shadows from trees or buildings; or if indoors, how to compensate for the lower levels of light. For sports played on sprung floors, movement from the athletes can give the camera the ‘jitters’, affecting the quality of the capture.